What Is The Difference Between Niche Vs Internet Marketing? Niche Vs Internet Marketing? Which One Is Best For Me? There is a lot of marketing going on the Internet. With so much going on, it can be extremely difficult to distinguish the differences in the two. I am going to make it a little clearer for you, I will review some of the differences between Internet marketing and niche marketing. 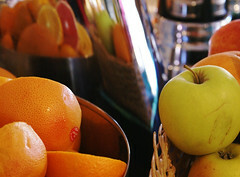 Internet marketing and niche marketing are apples and oranges, they are both fruit, but yet have their unique differences. 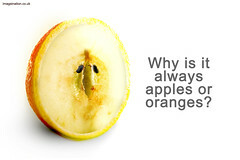 Internet marketing is the apple, where niche marketing is the orange. Niche marketing is when you are selling a specific product to customers looking for that particular product. There are some niches that are extremely competitive, and some that have little or no competition. You can also take a niche market and create a microniche market. The key is for you to find the niche with little or no competition. There are so many of the larger niche markets that are open to the latest and greatest marketing strategies, whereas the smaller niches are much easier to break into because they aren’t swamped with all the big-time Internet gurus posing as your competition. By going with your own niche market, you get to promote it yourself, or promote a niche affiliate product. You can find a niche market for anything! If you can imagine it, you can sell it. All you need is a great idea, great product (whether you create it or not), some advertising, and a strong will and intention to succeed. What Is The Internet Marketing Niche? This is where you are promoting your own Internet marketing product. There is a lot of competition in this market and much harder to break into and see quick results. You are competing with a lot of very wise men and women who are the best of the best when it comes to Internet marketing, also known as Internet Gurus. Does this mean it is impossible? NO…you CAN DO IT! You are in a world that works with supply and demand, meaning if you have a product that can go up against the big guys, and if you have an iron will to win, then by all means, you will succeed in the big league. Remember however, there are easier ways to get started than jumping right into the ball field with the hard hitters. There are innumerable niches that are still untouched, just waiting for you to jump in and take over. Go with something that you are familiar with, a hobby, a talent, something you are passionate about. Not only will this give you an edge in the market, but you can have fun with it too. Make your niche very appealing for anyone to sell or resell your product. By making your product appealing, you make it easier and more cost effective to advertise in a specialized market. Focus on the specific needs of your target audience and create your product to meet those needs. Maybe you have written an Ebook on beating insomnia, giving proven methods to overcome this safely and easily, and can virtually apply to everyone. You will be sought out by those who suffer insomnia, searching for the information you have to offer. If you have a website, blog or product that focuses on writing the perfect resume’, you will not be attracting the market looking to start an online business. Focus on your market, your targeted audience. By using your creativity, a little elbow grease, some committed action, and niche marketing will become a very effective and cost efficient way to sell your products and services, advertise to a specific audience, and bring in buyers of your product or service. Really? A MONTH Since My Last Post Here? WOW – Sorry to everyone who reads my posts here, I guess I need to focus more on the ‘blogging’ side of life! Just got back from a 2 week cruise around Northern Europe and had a great time, visited many places that I hadn’t been to before and met a few really cool people too, so all in all a trip well worth it.